Just about a year ago, a dear and a little whacky (aren't we all??!) woman named Beckie started following my CardMonkey blog, and I shared her blog button on my sidebar as a way to get her started. How time flies when we're having a good time! Beckie's blog continues to be a favorite. 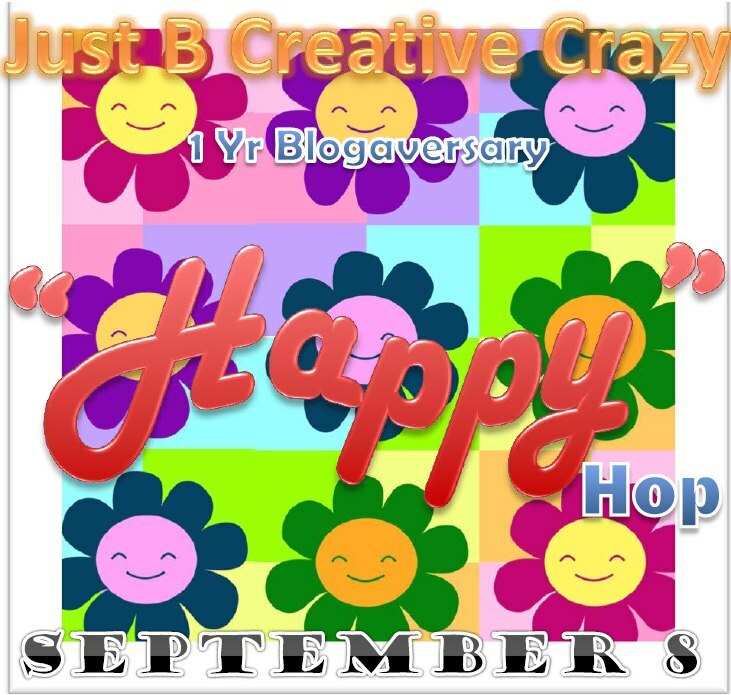 She is celebrating her blogaversary today with a HAPPY Blog Hop, and I'm happy to be part of it! To make the card, I started with a fun font (called "Bubol") that I found on My Fonts. I set it and drew the broken line, using Adobe Illustrator as my computer program, and printed the black-and-white text/line on Gina K Pure Luxury 130# paper. I chose that paper because I knew I wanted to color the font using Copic markers directly on the paper (without a mat) and knew that this paper did not bleed through with the Copics. Some dots and swirls are off-cuts (what I call "gadribbles") from when I cut bookmarks that you'll see next weekend; other dots are simple dabs with complementing marker colors. I was happy when I made this, happy to use my markers, happy to use gadribbles before they hit the trash can! 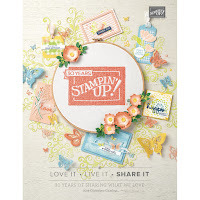 Beckie has some blog candy from her grand prize sponsor, 3 Girl Jam. To be eligible, be sure to comment on all of the line-up's blog posts for today ... there aren't too many in this Hop, so that should be easy-peasy. The prize is a $20 gift certificate to 3 Girl Jam, home of some fabulous crinkled ribbon that I love so much! I hope you have a happy kinda day! Ellen~ what a fun fun card!! CAS which I love and full of gorgeous colors!!! Thanks for sharing your card and as always so much fun to hop with you!! Yay !!! I uber love your card. So fun and cheery. Eek! Im ecstatic! Thanks for being an awesome, stellar friend! Its so wonderful to have met u and become friends! Thanks for being an awesome friend, blog bud and hop mate! so clean and beautiful card, loved your colouring.glad to become your follower. What a cute and uplifting card! Lovely CAS card, would make anyone smile..
TFS - enjoy your lovely weekend! This is so cute!! LOVE the simple card.. Love all the colors!! Amazing! I have the worst trouble keeping this simple.. I always think they are going to turn out horrible.. then I see simple like your card and it is absolutely amazing! I don't know why I continue to have that block! 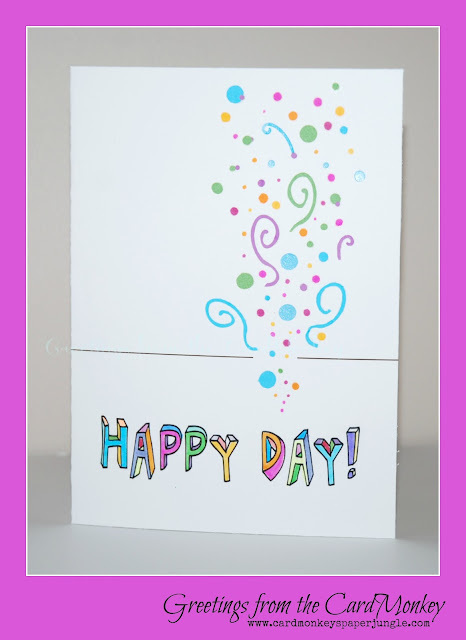 I love the Happy Day card - so perky! love the colors and the font and how you make it all wacky! This is a fun card. Love your colors and how you randomly colored your Happy Day. Super fun card. 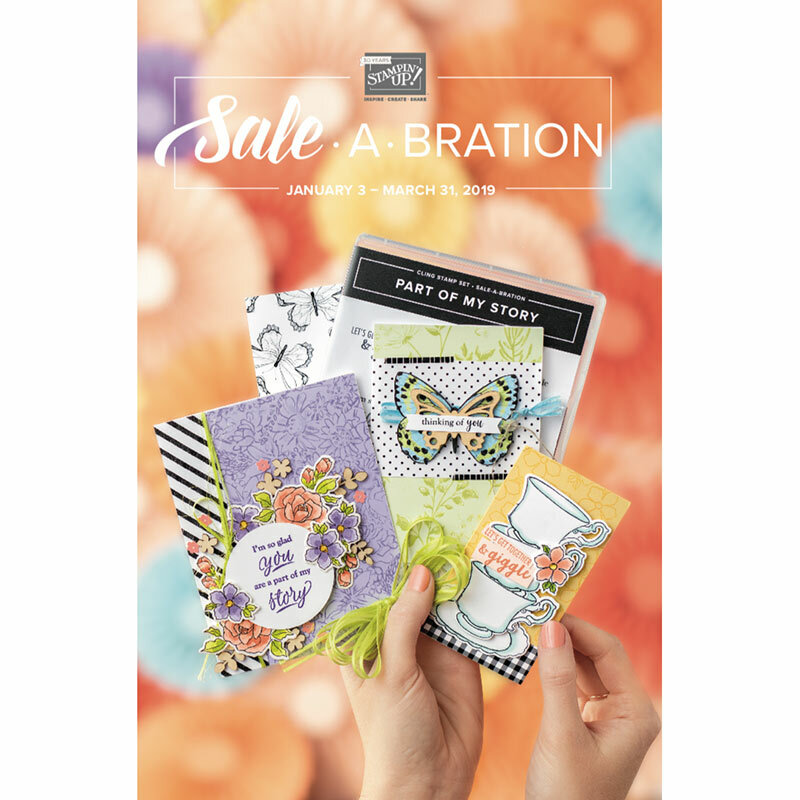 Love your bright and cheery card!! Perfect! Love the festive colors. Turned out great. Your Card is truely happy and cheery!!! Love the colors you used!! Thanks for Sharing this awesome card Ellen!! Ellen, your fun posts always make me giggle. Love those gadribbles (did I spell that right...LOL) Wonderful card and so suitable for our sweet Blend Beckie! I like the CAS style with pops of color. Cute card! Love the happy colors! Beautiful card and awesome colors you used!!! 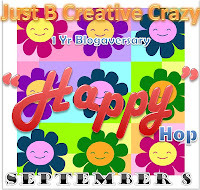 Love the cheery blogaversary card you made. Very cute! I just kept going back to look at it when I was reading your post! Very nice!! Ellen, your card just oozes happiness! I just love it!! And I love that you recycled all those little bits and pieces too! What a great idea! I LOVE this card. Simplistically cute! TFS and participating in this hop.